Replay Events are the definitive event holders when it comes to retro and arcade game events in the UK. JoypadAndMe have been to many of their events and have always had a great time. 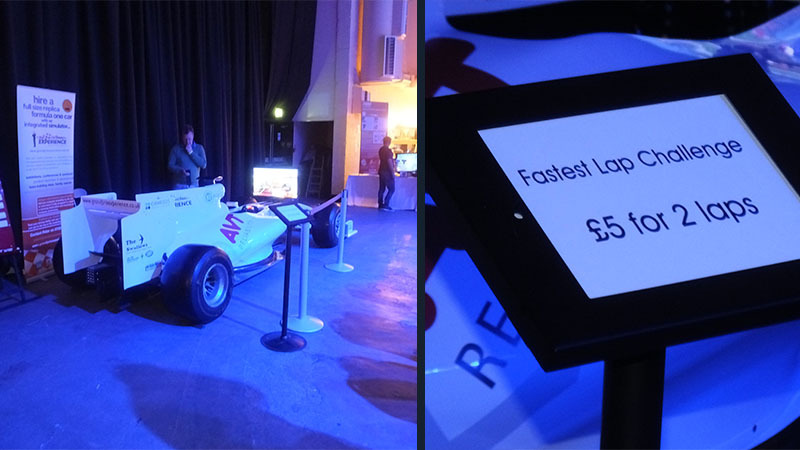 This year Replay Events hosted their Play Expo event in Blackpool at the Norbreck Hotel. A host of classic arcade machines were on offer for all to experience as well as a plethora of retro consoles and computers for all to get their hands on and try out some of those memorable games from the past and maybe relive some long lost memories of gaming fun. Graham, Ashley, Steven and friend of the site, Bill went down to check out what was on offer and to experience yet another fun packed event. Bill rocking the guitar while ‘El Capitan’ takes to the mic. Ashley ‘in the zone’ on Bass. One of the true all time classic consoles, The original Nintendo NES. Sega’s first outing into the console market, the Sega Master System. There was plenty to choose from when it came to classic retro gaming. It wasn’t all retro at Play Expo, the current gen consoles were also on offer to all. Any game you could pretty much think of was there for the playing. Jeff Minter and Llamasoft were back again showing off their latest games. The look of concentration and happiness. The arcade machines are always a big draw. Not all the attractions were overly popular. We think we can see why. Playing all these games can take its toll on people, these two are clearly loosing their minds. The Halo table was always popular with many a friendly competition and tournament taking place. Even Umbrella staff need to take some time off once in a while. The vendors room is always a popular attraction. Any console or game you could think off was there for you to empty your wallets for. The cosplayers were back again in force. This is the gamer you were looking for. Coin popping on Point Blank 2, I think we are all pretty safe from these two. Did you attend Play Expo Blackpool? If so then why not tell us what you got up to, what did you play? what were your highlights? comment below and share your experiences with us and the rest of the world.